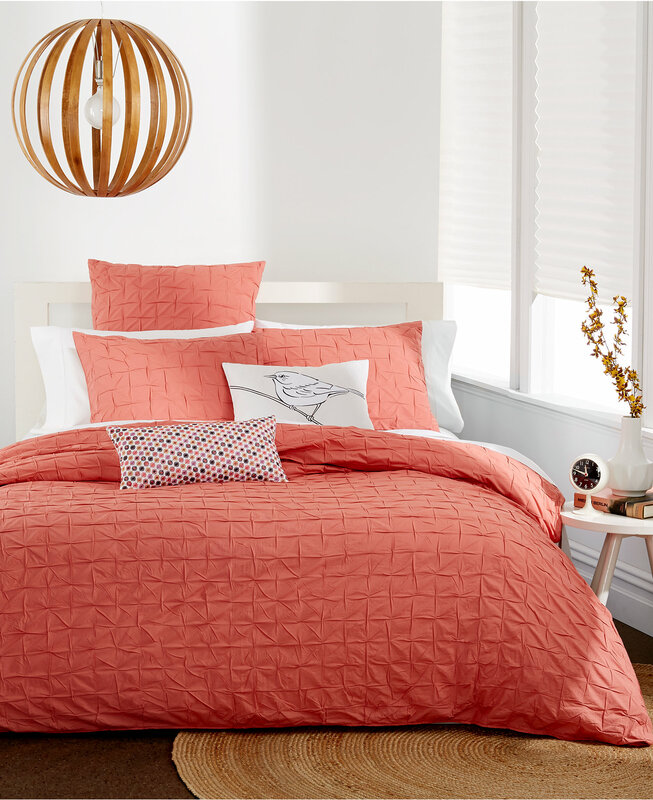 A rich coral hue and intricate textures adorn the Bar III Box Pleat Sunset Collection, for a chic contemporary look. Decorative pillows provide extra charm with vibrant hues & playful patterns. $35-$240 Closeout $14.97-$104.97. Buy here.